If you want to find car dealerships near you that have a large variety of cars for sale, then you need to come by and see us at R&B Car Company. Have you been thinking about buying a vehicle lately, and you are feeling more towards purchasing something more substantial for you and the family? Maybe an SUV? If you are thinking about buying an SUV for sale, what kind are you leaning towards? 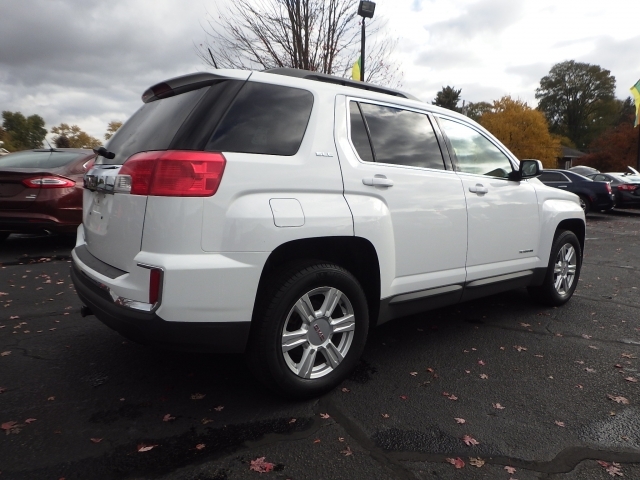 If you want an SUV that has a lot of beautiful features and gives you loads of cargo space, then you should stop by and take a look at this 2016 GMC Terrain we have here at R&B Car Company. If this is the type of vehicle that interests you, come by and talk to one of our sales team members and let us get you in this vehicle for a test drive. If you prefer the larger SUVs, then this could be the right one for you. This GMC has Front Wheel Drive, Automatic Transmission, and come with a Power Lift Gate. This SUV also has a Remote Start Engine, Wifi Hot Spot Capable, Heated Seats, Bluetooth Connection, AC, Power Windows, Power Door Locks and also comes with Front and Rear Auxillary Power Outlets to keep all of your smart devices charged and ready to use. 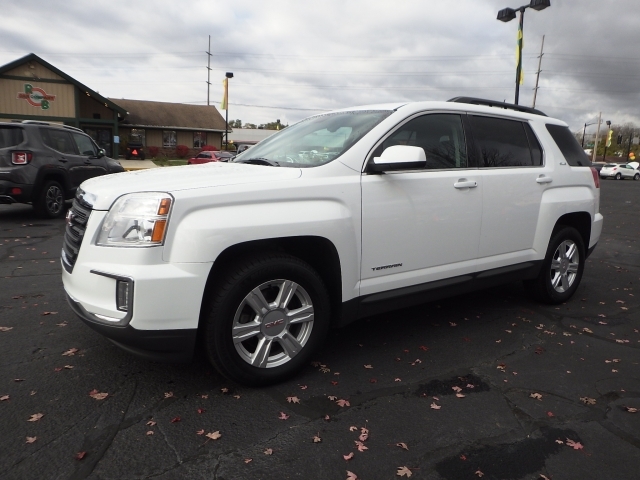 This GMC SUV has these and many other features, so if you like this vehicle and want to look at it in more detail, and take it out for a drive, come by or call and set up a time that is good for you during our business hours to take a look at this car. If you are worn out from driving around looking at other south bend indiana car dealerships, then stop wasting time and gas going to dealerships who don't have high-quality vehicles or much of a selection of them. If your choice and a selection, then our inventory can't be beaten when it comes to having the quanity and selection. 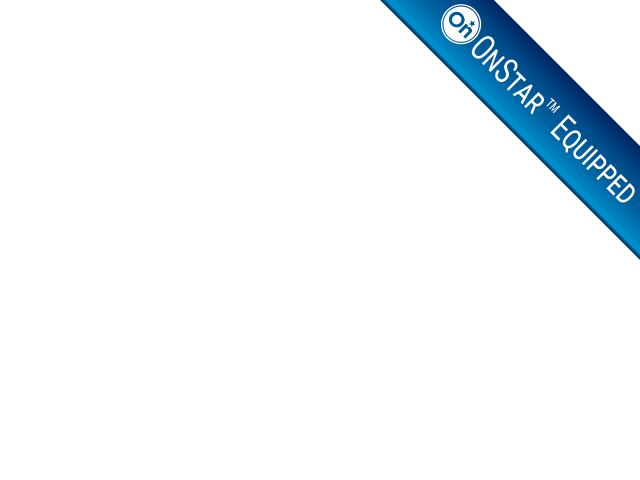 So if you have been on the hunt for a used SUV for sale, then look no further than R&B Car Company. We will provide you with outstanding customer service, and help you find the car that matches your likes, and your lifestyle as well as your budget. Whether you want a more modern vehicle or something a bit less expensive, we have so many cars that you won't need to search elsewhere for the variety and affordability of the cars we sell. We know that finding the right vehicle is essential to your life, and you want one that you will be happy with for many years to come. Whether its this GMC SUV, or any one of our many cars, trucks, minivans or SUVs, you will see a vehicle at our dealership that you will be happy finding. Don't procrastinate, stop by today and take a look around. If your time is limited, then check us out on our website and take a look at our inventory there. When you find the car(s) you want to take a closer look at and drive, stop in at your convenience and we can show you the vehicles you want to see. Come by soon to R&B Car Company!